Obituary for William "Bill" L. Wallace | Thomas Funeral Home P.A. William “Bill” L. Wallace, 75, of Cambridge passed away on Tuesday, February 12, 2019 at Atlantic General Hospital in Berlin. He was born in Dorchester County on October 6, 1943 and was a son of the late Watson Ernest Wallace and Mattie Meredith Wallace. Mr. Wallace graduated from South Dorchester High School. 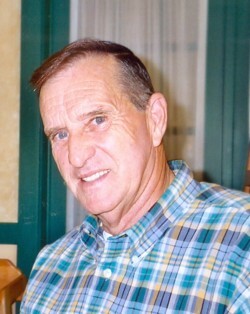 He served in the U.S. Army from 1962 to 1968. Mr. Wallace owned several bar and restaurant businesses within the county and later worked for M.U.C. in Cambridge where he retired. In later years, he worked at the Pool Hall and at Big Mario's. He is survived by his children Phillip Wallace and wife Tammy of Cambridge, Debbie Foster and husband Danny of Cambridge, Donald Wallace of Cambridge and William Wallace and wife Sarah of Easton, seven grandchildren Andrea Bell, Alexandria Wallace, Shelby Wallace, Josh Wallace, Hannah Wallace, Riley Wallace, and Brandon Fitzhugh, three great grandchildren River Bell, Trinity Lee, and Taryah Lee and several nieces and nephews. Besides his parents, Mr. Wallace is preceded in death by three sisters Mary Rose Pete, Ida Mae Wallace and Dorothy Miller, and the mother of his children Jeanette Wallace. Pallbearers will be Carl Hughes, Elmer Ruark, Arvie Ruark, Tommy Era, Mike Era, and Danny Biskach. A funeral service will be held on Wednesday, February 20, 2019 at 1pm at Thomas Funeral Home, P.A. with Rev. Jayson Bleyer officiating. Interment will follow at Dorchester Memorial Park. Family will receive friends one hour prior to the service. In lieu of flowers, memorial contributions can be made to Thomas Funeral Home, P.A., 700 Locust Street, Cambridge, MD 21613.